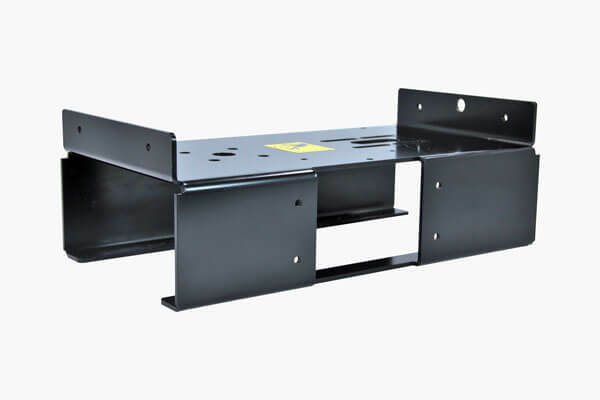 A recommendation from their previous supplier brought Outdoor Power Equipment Manufacturer’s leaders, Gerd & Erik Bauer, to Ultra’s front doors to continue production of their lawn mower blade sharpener. Quality has driven Outdoor Power Equipment Manufacturer since its foundation in the 1950’s; however, controlling manufacturing costs was becoming a bigger concern for the owners. 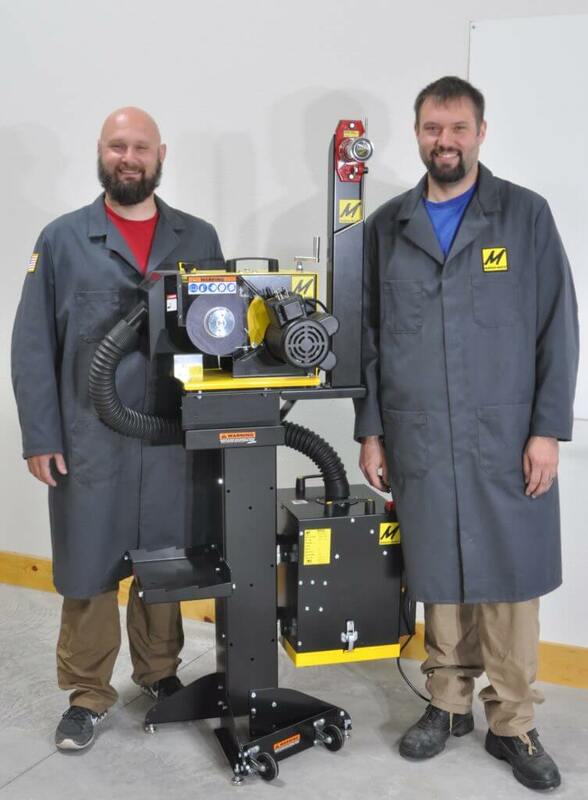 Gerd Bauer, left and Erik Bauer, right are next to their Lawn Mower Blade Sharpener with its balancer and dust collector. Ultra’s process began with a collaborative design analysis of Magna-Matic’s product line part by part. As a small business they have put in substantial time and effort to fully understand every detail of their product. This created an open exchange of ideas for manufacturing the most cost-effective parts. Magna-Matic recognized that Ultra brought an in-depth understanding of the tooling and processes related to their designed features that they didn’t necessarily possess. "Manage costs together and not what we can get from you." Ultra conducted an in-depth analysis of the customer’s current manufacturing process for the shaft piece. It was being produced as a sintered metal piece to attain the shaft’s form. This was time consuming and expensive. The sheer size to stamp this part was causing production issues at the customer’s own manufacturing facility. An unacceptable amount of resources were allocated to produce this side table at the required quantities. The (6) bends and (8) holes required a manufacturing process that produced no variance to achieve successful placement on the recreational vehicle. Find a supplier that could provide an efficient and cost-saving process to produce the part with 100% accuracy while meeting output demands in a timely manner. Production costs were increasing because a splash guard and (6) drainage slots were added to the part’s design to meet safety requirements. The part’s length changed with these newly added features and made the existing die unusable. Lower production costs for the fuel filler by utilizing a more efficient production process. Ensure the new features maintain the overall functionality of the fuel filler cup.